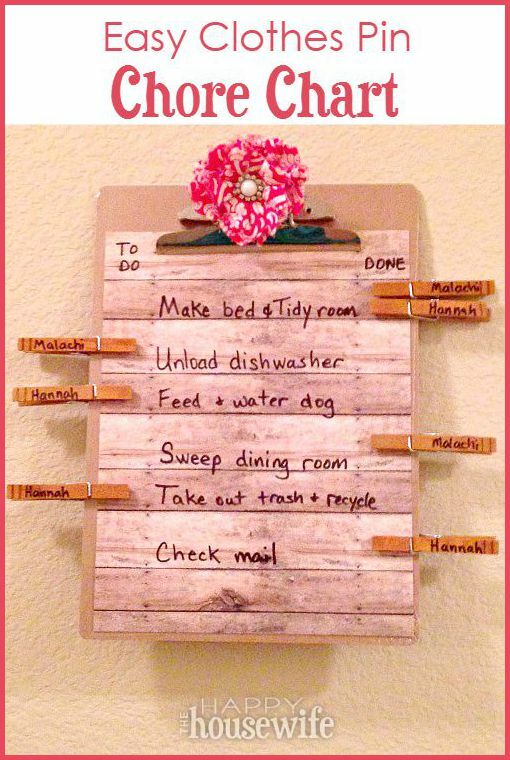 Chore charts are easy reminders for the whole family. 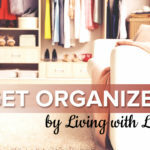 They help keep us organized, and my kids really love the visual reminders to keep our family running smoothly. I used to spend a lot of time reminding the kids what chores happened when. Then we used a daily checklist that I printed out, and they marked off when their chores were done. That wasted a ton of paper! 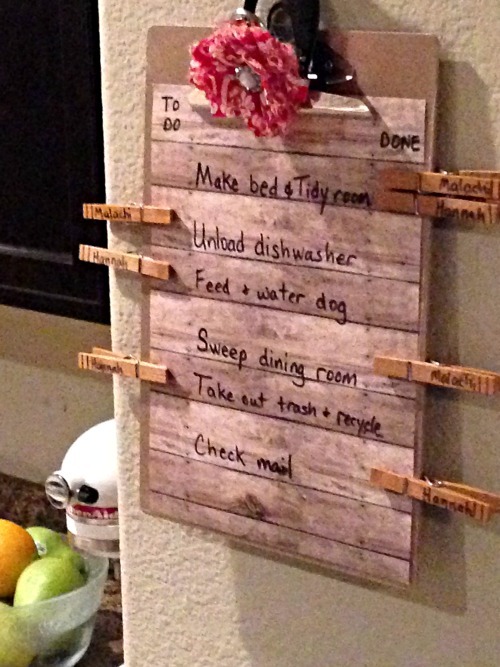 With our new clothes pin chore chart system, I spend less time repeating myself and don’t have to print any checklists. This makes our home more peaceful, the kids more responsible, and mom less of a nag. I gathered all my supplies from a local craft store. You could also grab these online if that’s more convenient for you. I’ve added links to some of the items so you can take a closer look at what I used. The most important part of this project is the layout of the chore sheet. The example I made is a daily sheet that would represent the chores for one particular day of the week. 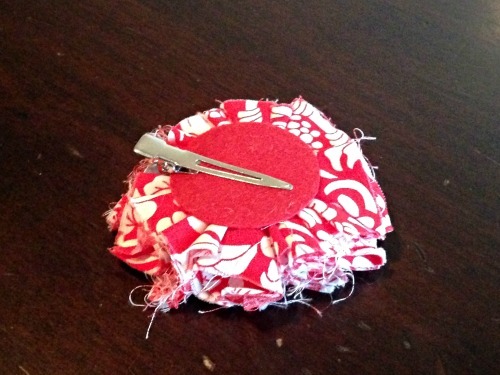 This sheet would work well for 1 – 2 children since I can fit two clothes pins on each task. 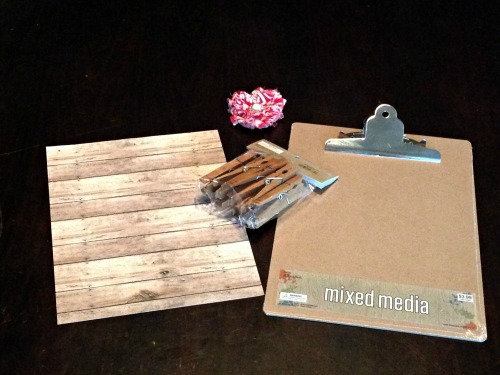 If you have more chores or more children to facilitate, then I would use one clipboard and one list per child per day. 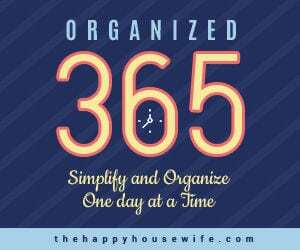 For example, if you are organizing daily chores for three children, then you would want 7 sheets (one per day of the week) x 3 children. That’s 21 sheets and 3 clipboards (one per child). The chores shown are Thursday chores in my house. Some chores appear on each day of the week (like making the bed and feeding pets) and other chores, like taking out the trash and recycle, are only completed one day per week. Since each day holds different responsibilities, it’s easier for my family if we have a sheet for each day of the week. 2. List the chores to be completed. Here is a great chore list to get you thinking about age appropriate chores for each child’s list. 3. 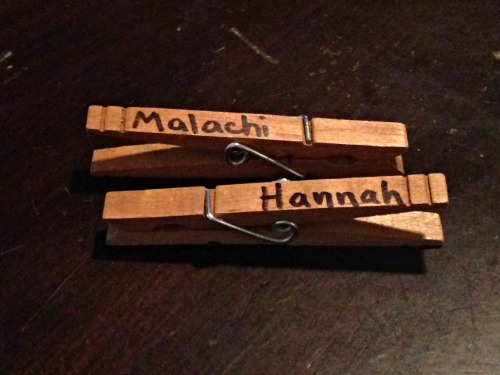 Write the child’s name on the clothes pins with permanent marker. I write the name so that it can be easily read on the left and right sides of the chart. You could just have them clip their name upside down on the “done” side when the chore is finished, but I like the neater look of having the name right side up. 4. Add a decoration if desired. The red and white clip is actually a hair decoration. I liked it because it adds a splash of color to the chore list. Clip the hair clip directly into the hole on the front of the clipboard. You could also glue on any decorative accent you like. Make sure that the decoration doesn’t hinder your ability to open and shut the clamp. 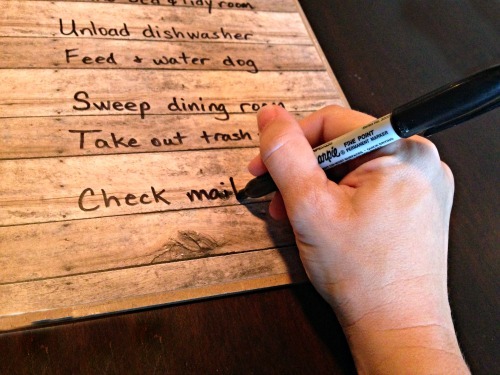 You’ll want to easily change out the chore sheet. 5. Hang the chore chart. I hang our chart between the dining room and kitchen because that’s a high-traffic area in our home. Find the spot in your home that’s right for your family. Make sure it’s easy for the kids to read and reach.